Paul Andersen (2011 Montana Teacher of the Year) has created a series of short videos where he describes the 8 Practices of Science and Engineering from the Framework for K-12 Science Education and the Next Generation Science Standards. 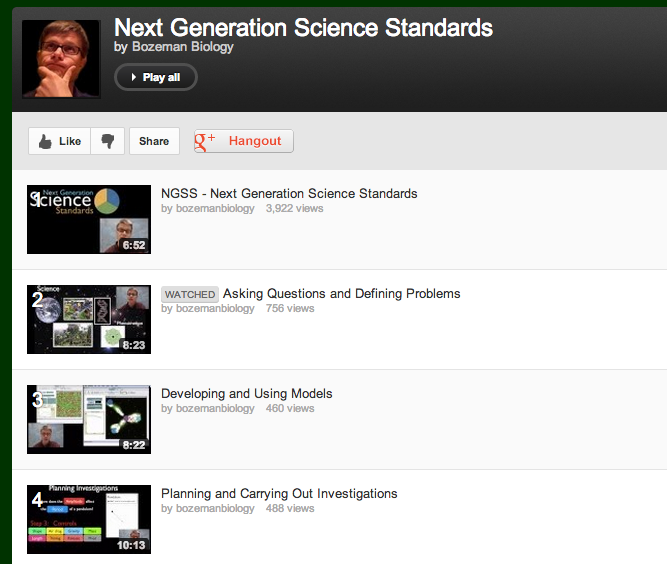 I have only skimmed the videos but they seem like they could be a good source of professional development as we move toward implement new science standards. Click HERE to see Paul’s page of videos. You will see that he also has clips describing the Crosscutting Concepts. This entry was posted in K-12 General Science, Science teacher Professional Development, STEM, Video. Bookmark the permalink.